As one of the most dynamically growing and significant robotics companies in the world (we employ 450 employees), we fully meet the needs of even the most demanding customers. 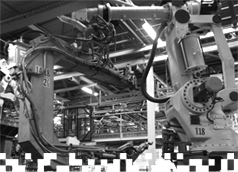 RW Swiss Automation, acting within the Swiss Group and its partners, focuses on planning, designing and commissioning of manufacturing lines around the world. Our potential is provided by new technologies, which allow us to translate work from running production lines into the office, so-called virtual commissioning. We carry out the projects on our own or together with our partners, main contractors, construction offices, with which we have clear rules of cooperation. Recipients of our projects are OEMs (Jaguar, BMW, VW, etc. ).